Cemetery/Memorial: Etaples Military Cemetery, Pas de Calais, France. Grave Reference: LXVI. E. 34. Additional Info. Son of Orr and Janet (Forrester) Mill of 3 Clarion Cottages, Lower Oakfield, Kelty. 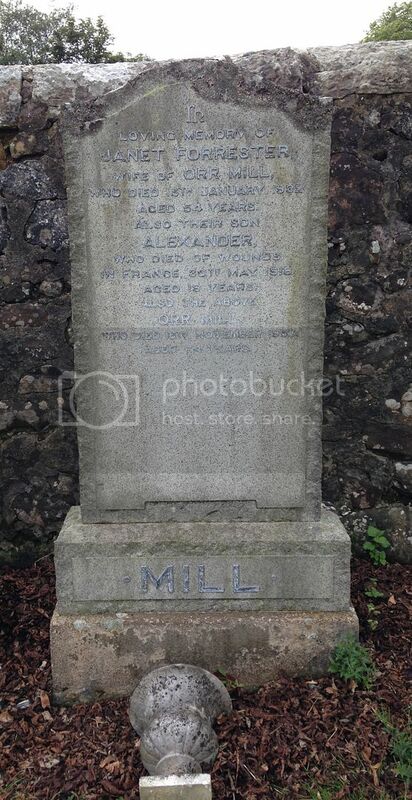 Native of Crossgates, Fife. Cemetery/Memorial: Reichswald Forest War Cemetery, Nordrhein-Westfalen, Germany. 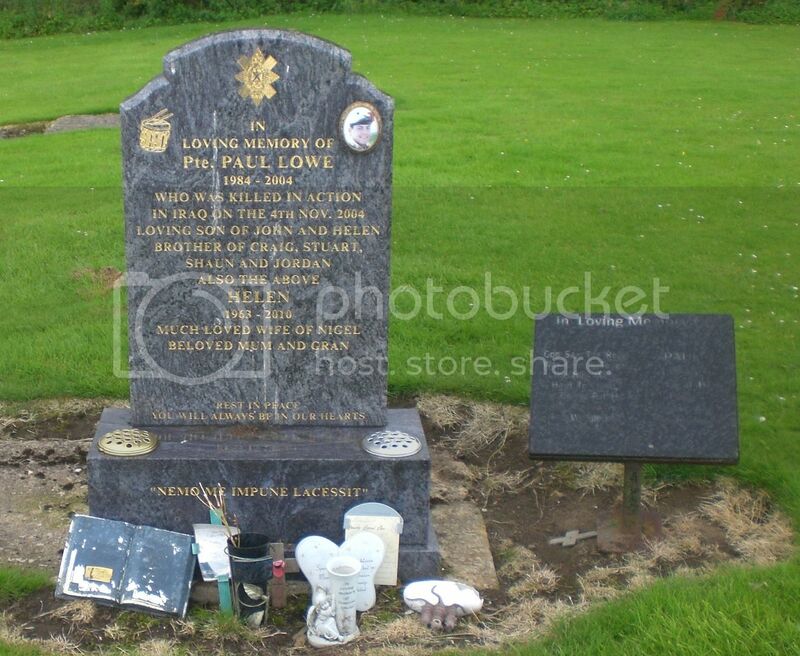 Grave Reference: 60. G. 3. 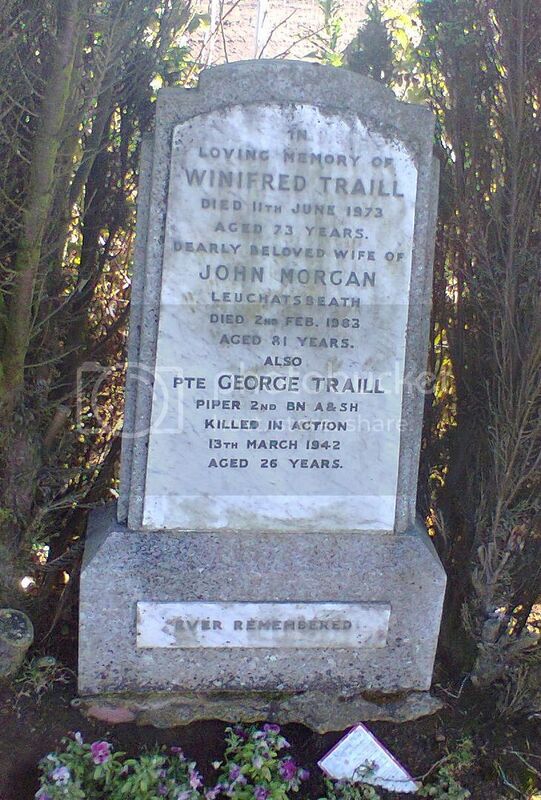 CWGC Website gives his age as 19, family headstone states 29. Cemetery/Memorial: La Delivrande War Cemetery, Douvres, France. Grave Reference: VI. L. 9. Additional Info. 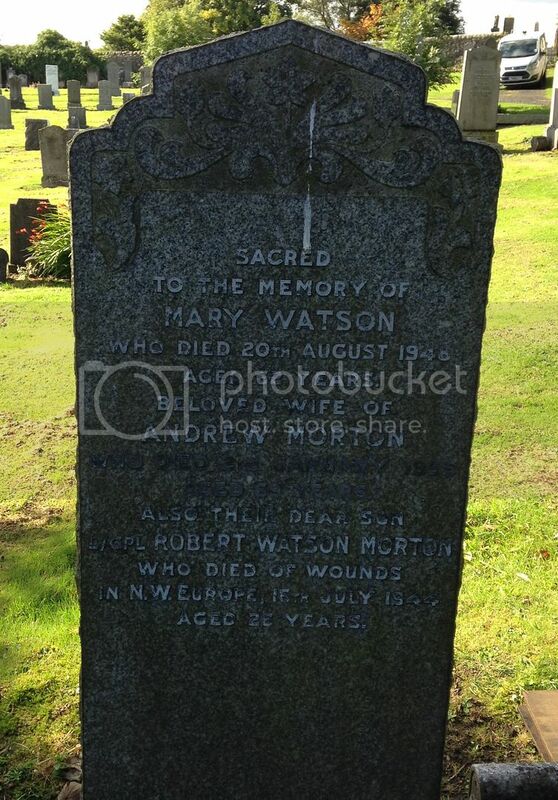 Son of Andrew and Mrs Mary (Watson) Morton of Cowdenbeath, Fife. 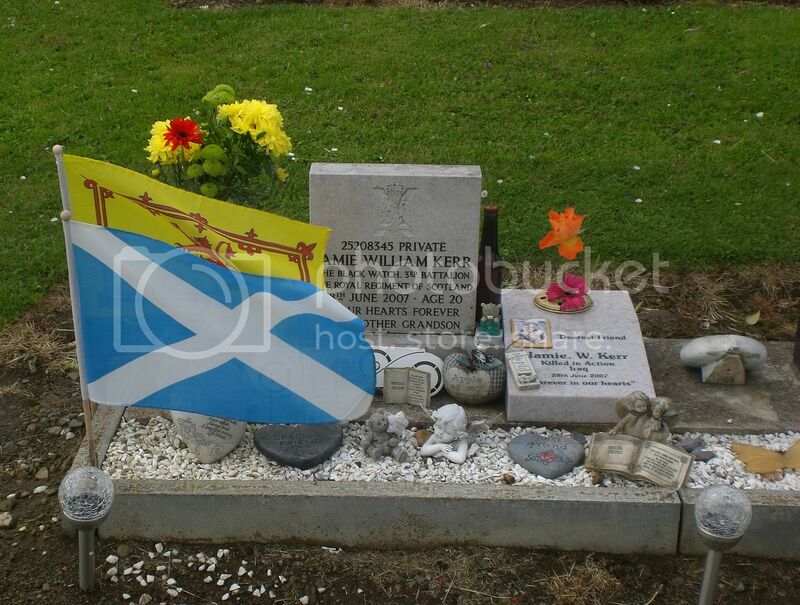 Headstone in France reads: Forever With The Lord! Amen; So Let It Be. Cemetery/Memorial: Knightsbridge War Cemetery, Acroma, Libya. Grave Reference: II. C. 4. Additional Info. 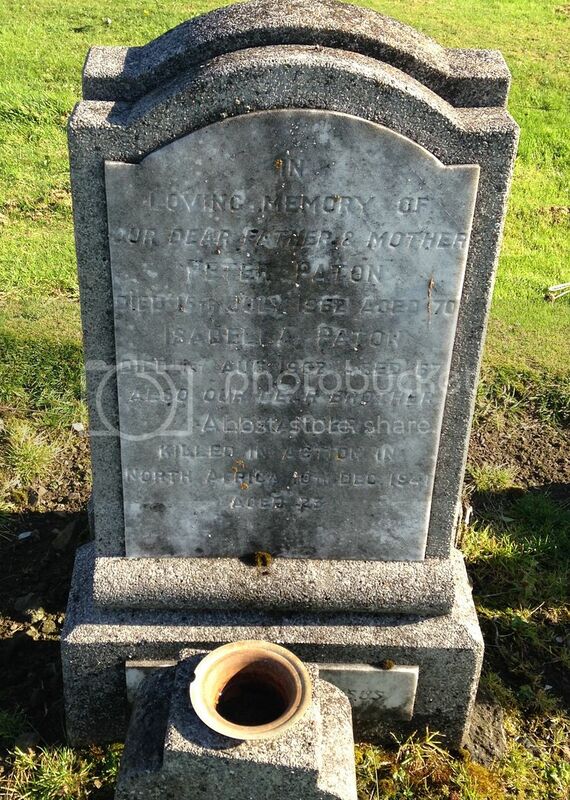 Son of Peter and Mrs Isabella Paton of Cowdenbeath, Fife. Headstone in Libya reads: Blessed Are The Dead Which Die In The Lord. Cemetery/Memorial: Grevillers British Cemetery, Pas de Calais, France Grave Reference: X. B. 2. Additional Info. 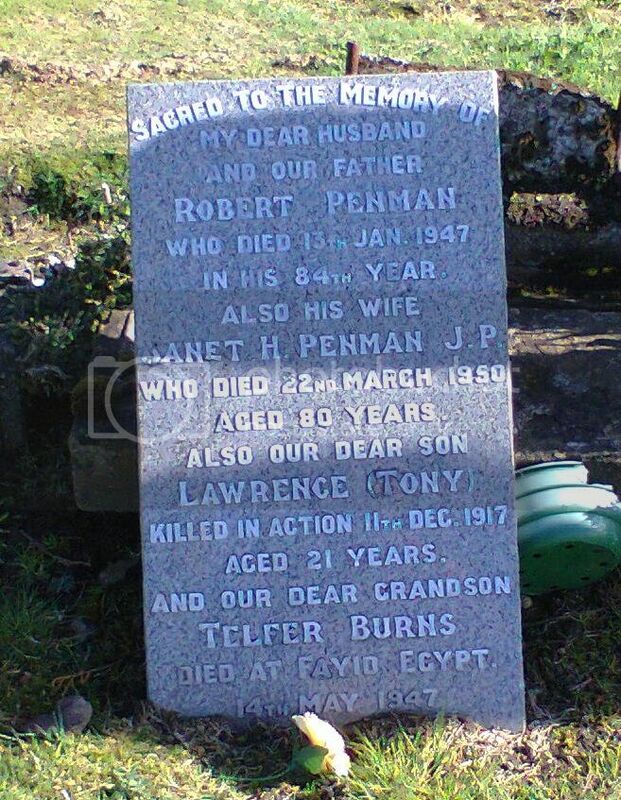 Son of Robert and Janet H Penman of Beath, Fife. Cemetery/Memorial: Maroeuil British Cemetery, Pas de Calais, France. Grave Reference: I. F. 10. Additional Info. 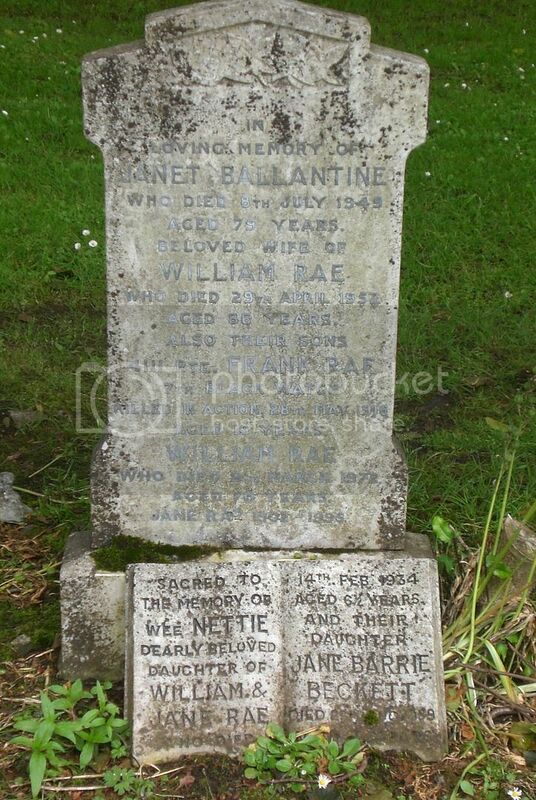 Son of William and Janet (Ballantine) of 170 Broad Street, Cowdenbeath. Cemetery/Memorial: Becourt Military Cemetery, Becordel-Becourt, Somme, France. 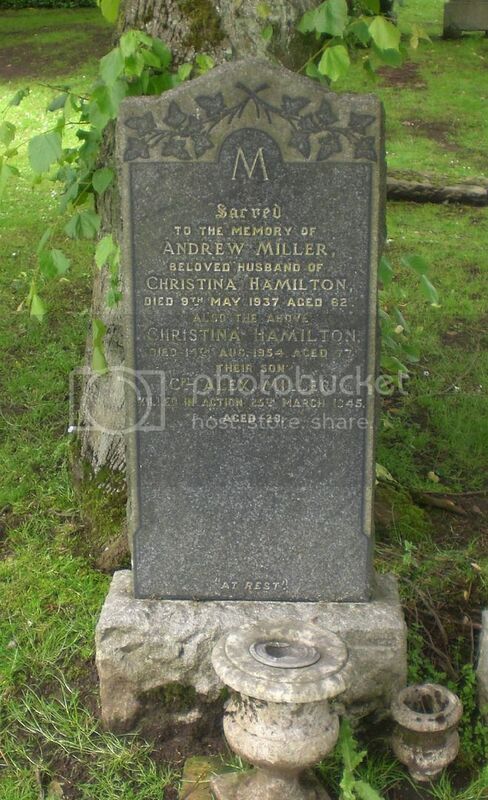 Grave Reference: I. V. 8. Additional Info. 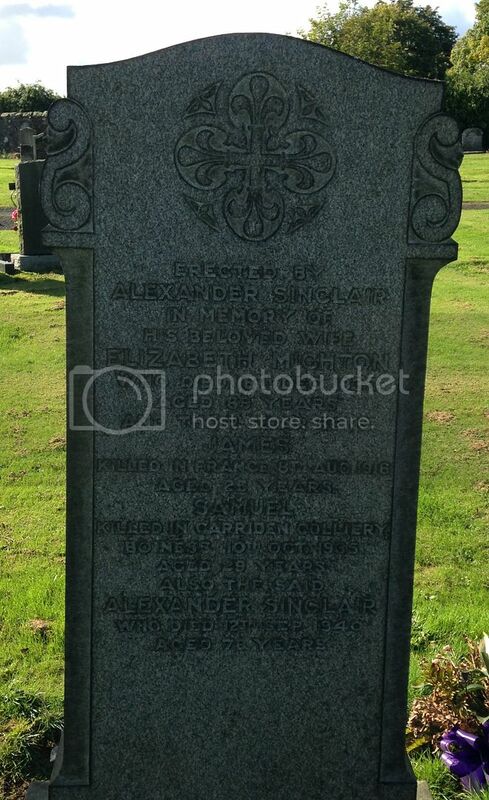 Son of Alexander and Mrs Elizabeth (Michton) Sinclair. Cemetery/Memorial: La Clytte Military Cemetery, West-Vlaanderen, Belgium. Grave Reference: III. B. 7. Cemetery/Memorial: Kuala Lumpur (Cheras Road) Civil Cemetery, Malaysia. Grave Reference: Grave 824. Unit/Ship/Squadron: B Coy. 11th Bn. Additional Info. 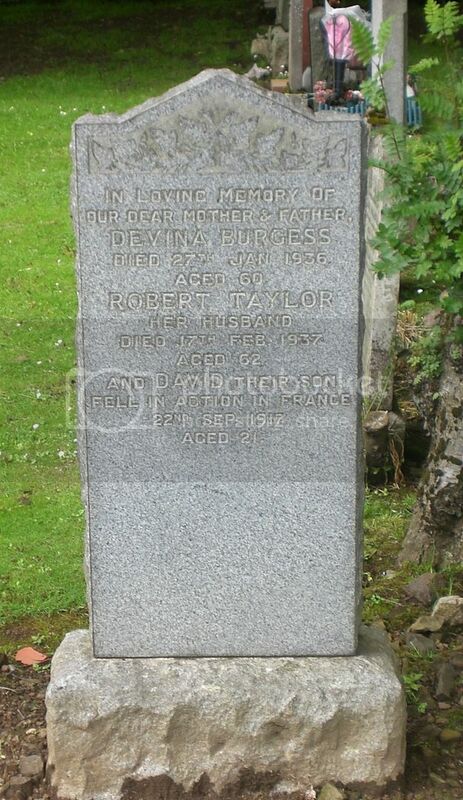 Youngest son of Andrew and Mrs Margaret (Fleming) Turpie of Chipperkyle, Upper Oaskfield, Kelty, Fife. 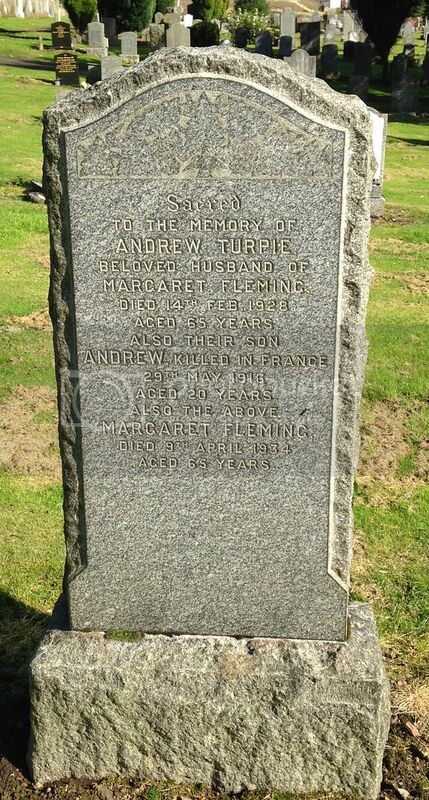 Headstone in France reads: Beloved Son Of Margaret and Andrew Turpie. Aged 20. Deeply Mourned. Additional Info. 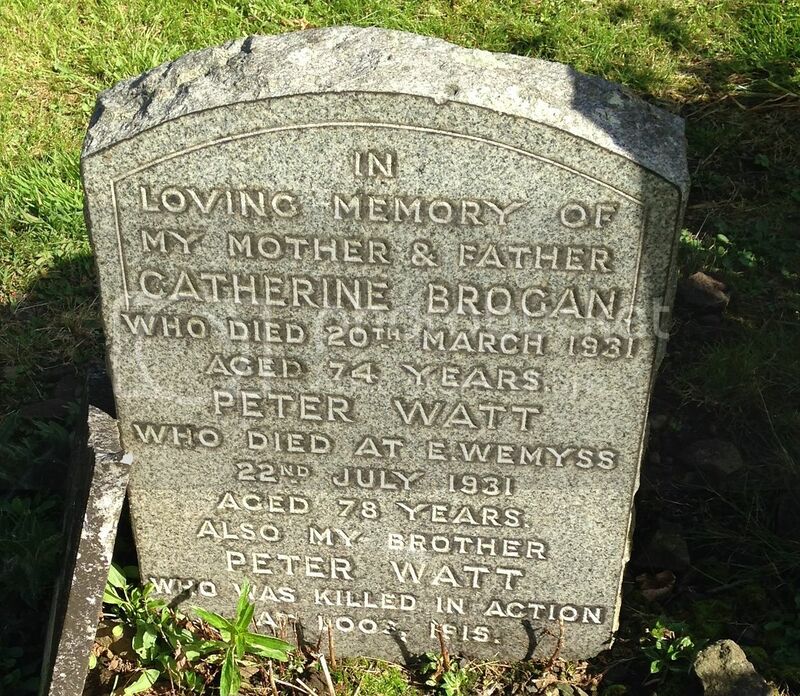 Son of Peter and Mrs Catherine (Brogan) Watt of 51 Chaple Street, Cowdenbeath, Fife. Cemetery/Memorial: Limmer Military Cemetery, Hannover, Germany. 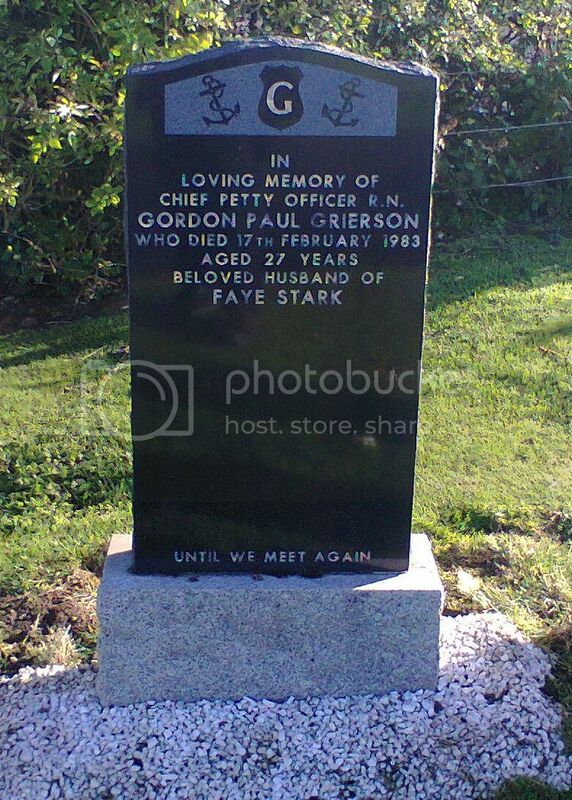 Grave Reference: 5. E. 14. Additional Info. 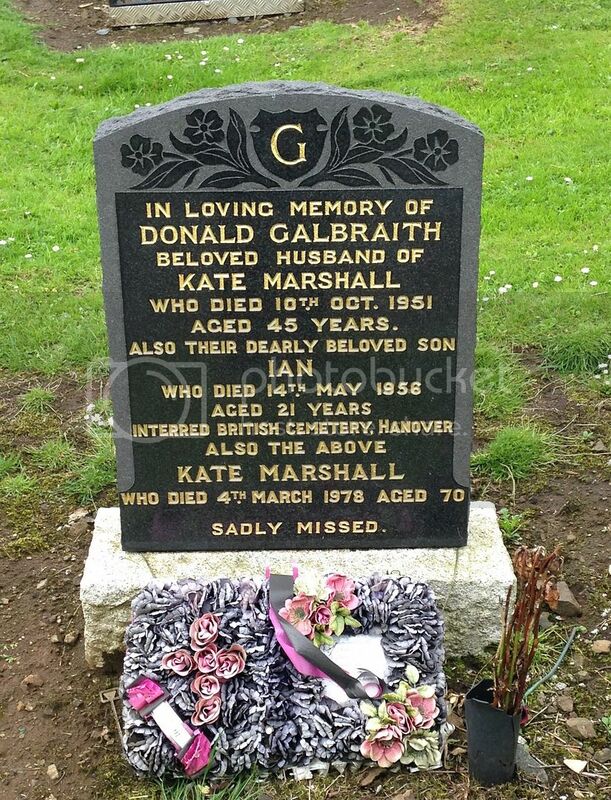 Son of Donald and Kate (Marshall) Galbraith. Unit/Ship/Squadron: The Black Watch 3rd Bn. Additional Info. Loving Son of John and Helen. Brother of Craig, Stuart, Shaun and Jordan.